This is my second personal rig. My last one was a mid-range PC that a good friend of mine helped me put together. This time I wanted to go from start to finish myself. A good deal of the parts I bought during some kidn of sale or promotion, so the overall cost is lower than my $1500 budget. For a college student it's a bit high, but I work as a freelance graphic designer, and I needed something more powerful for applications like After Effects and Cinema 4D. I worked on the parts list for a few months while I was still away at school. When classes ended, and I had a part time job I started buying all my parts. Newegg's daily emails saved me maybe $30 in sales and deals over the 2 months that it took to purchase everything. And a trip to MicroCenter in Cleveland, OH (I live in Vegas) got me the 6700K for a pretty good price. The Air 240 is a beautiful case. I love it. It's the reason I did a mATX build in the first place. My only complaints are the side panels, which are rather flimsy, and the lack of space for fans with the H100i installed is rather disappointing. I knew this going in though so I can't be too upset. My only issue in building was installing the H100i in the front, since the tubes aren't the most flexible ones available in terms of AIO coolers. Also a note: Don't plug the fans into the H100i. The pump starts making sounds for some reason. It seems to cause an issue. I read about it but I'm not entirely sure what the deal is. I plugged the fans into the mobo and I haven't had an audible issue. Everything else was a breeze. Getting Windows installed on the NVMe SSD was effortless. I had heard about BIOS issues with the Gene and NVMe SSDs but everything showed up perfectly on the first boot and installed flawlessly. Cable management in the Air 240 is pretty easy with the dual chamber design. But if you're like me and really into management then I would say there really isn't much you can do with the nest of wires that collect behind the scenes. EDIT: 8/31/16: I ordered and received 3 Noctua nf-f12 iPPC 3000rpm fans to replace the stock SP120 and the one AF120 fans that came with the case and cooler. They're dead silent. Unless I've got them ramped up to max. And they move so much more air. I'm so pleased. Wonderful CPU. Zero problems with installation and function. My After Effects renders are much much faster compared to the FX 6300 processor I was using before. zero heat issues since I got my fan profiles set up right. Idling somewhere around 35 C.
Overall a nice cooler. fits perfectly in the 240 (why wouldn't it?) and the included SP120 fans are good. Disappointing that the corsair link cable has its angle going to the left, rather than a straight or right angle cable. Also the pipes touch the window panel because of how stiff they are. 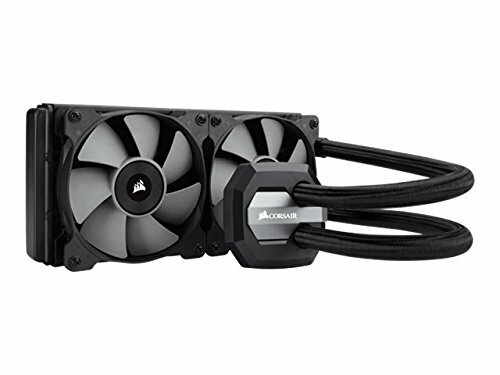 The fan controller also causes a weird noise when the fans are plugged in. Not sure what that's about but I can't argue with the performance of the cooler while the fans are plugged into the motherboard so 4 stars it is. Gorgeous motherboard. I love the aesthetic. Shame I can't really see all the LED's with the 1070 in the way. The fan headers are well placed (for me at least with only 3 fans for now). Some of the extra features like Keybot and AI Suite are pretty nice. I love it. No complaints. 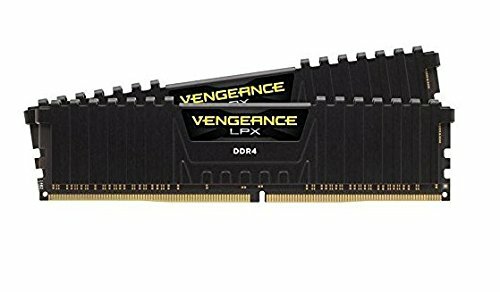 RAM is RAM. It does what I need it to do and looks good doing it. 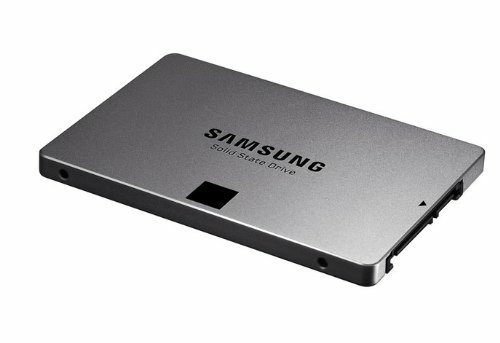 Blazing fast SSD. Love it. I haven't experienced any thermal issues with it sitting behind the GPU. The elusive butterfly. I love the card. It's beautiful and handles everything I throw at it perfectly. No overclocking yet as I haven't seen the need to. White LEDs go with everything. Just wish it was in stock more frequently at the time so I could have built sooner. And preferably for a lower price. For the most part this case is aesthetically wonderful. I love how it looks. Cooling options are limited though, and I wish it was a little bigger if only to make more room for more versatile cooling. The rubber grommets inside are also placed rather absurdly since a few are covered my mATX boards, which kind of defeats the purpose of this being an mATX case? Also wish the power button would rotate like the Corsair logo. One of the few things keeping me from having it sit on its side. Small, silent, delivers power to everything. Cannot recommend this enough. The cables that come with it are also very nice. Love it. Super clean build, good job, +1. Great looking build you have here, great part choices as well. My only question...you went all the way to Ohio to save $30 on your CPU? Or did I misinterpret this bit? I went for family but I was too lazy to add that to the overall story. Didn't think it was too important haha. Should've went with a Rosewill hive series PSU. Cause ur pc is named the hive... HAHAHAHAHAHAHAHAHAHAHAHAHAHAHAHAHAHAHAHAHAHAHAHAHAHAHAHAHAHAHAHAHAHAHAHAHAHAHAHAHAHAHAHAHAHAHAHAHAHAHAHAHAHAHAHAHAHAHAHAHAHAHAHAHAHAHAHAHAHAHAHAHAHAHAHAHAHAHAHAHAHAHAHAHAHAHAHAHAHAHAHAHAHAHAHAHAHAHA... ha. I'm Thinking of building this PC but with an air cooler, what do you guys think? get yourself something from noctua or a cryorig h7, or dark rock pro 3, or the regular dark rock 3. H7 and Dark Rock don't have clearance in the Air 240. If you wanted to use Cryorig you'd have to use the C7 or C1. I just built a 240 with an i7 6700, so I won't be overclocking. went with the stock cooler and I haven't been able to push it over 40 degrees yet. If i were overclocking I would get an aftermarket cooler, i believe I read that there is only like "1.5 inches" of space for one or something but don't quote me on that! def do research as OP said! Love it! My build is very similar. Only problem is the Asus Gene VIII is sold out everywhere... Might have to settle with the Gigabyte matx board :(. Nothing wrong with a Gigabyte board! I went with the Gene for the extra features like Keybot and other stuff. But the Gigabyte mobo is better price to performance imo. I used the MA170 i believe, its what many used in this case so i knew it would fit. it was 145 bucks and i have no complaints! Yeah I ended up going with the Gigabyte GA-Z170MX. It has been working great for me so far. Love it! I still would have went with the Asus if it was available, but no regrets going with the Gigabyte so far. 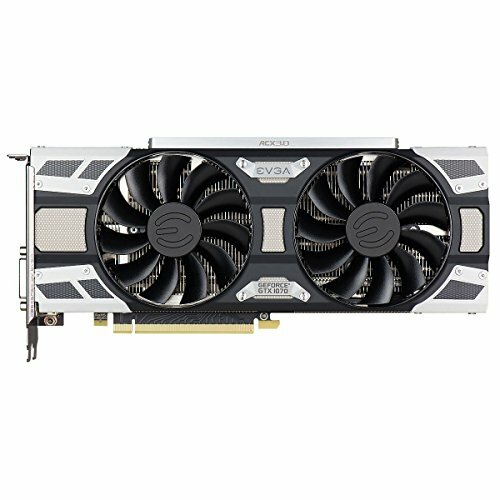 Could you of fitted a push pull on that rad with the evga 1070? or does the 24pin mobo wire block extra fans? Also did you consider putting 2 120 fans on the bottom for extra intake? I can fit a push pull into the case with the 1070, but it's gonna be tight. I actually plan on buying some Noctua fans and moving the SP120's to the pull side. Also you can't fit 120's in the bottom with an mATX board because it has a clearance issue with some of the pins on the bottom of the board. If you build ITX then you could probably get a whole radiator down there though. i got a mini itx board, thinking about moving from my prodigy case to this case. Is there a reason you didnt put 2 exhaust fans up the top? most people have done 2. The tubes on the H100i v2/GTX are too thick for a second fan. Otherwise I would have. I was planning on moving a fan from the front to the bottom underneath my 1070 FTW and getting a colored fan for the front. Are you saying you can't fit a fan in between the GPU and the case wall? like is there a size that WOULD fit? If youre using an mATX motherboard you could probably get a really slim fan between the GPU and case wall. On my Asus Maximus VIII Gene, the front panel headers and the Start and Reset buttons would be in the way of a standard 120mm fan. If you have an ITX motherboard like the GIGABYTE G1 Gaming GA-Z170N-Gaming 5 then the smaller board size would make it easy to have fans at bottom/side of the case (depending on your orientation). Also, how does the 1070 FTW fit in the Air 240? I know it's a bit of a wider card compared to the 1070 SC. Any issues with the fit? Sorry for the late reply. It fits, but is tight. Tight enough for some pulling on the rear of the case to squeeze it in haha. I think the FTW edition is slightly bigger than the other, which would explain that. Not at all! Unless the SP120 fans are up at max speed I dont hear a thing. Replacing all the fans with Noctua nf-f12 iPPC fans today so I'll let you know what the acoustics are after the upgrade! This is a bit late, but I can barely hear my PC with the Noctua nf-f12s inside. The pump gets noisy sometimes, but other than that the loudest part is the 1 mechanical drive in there. Haha I was there for family xD The 6700K was a great bonus for the trip though! Thanks! I completely forgot to add the 240GB 840 EVO and 1TB WD Blue drive I had lying around to the parts list, but those are in there too! EDIT: Updated. Thanks for reminding me!